We can easily say that the kidneys are one of the most important organs in the human body. The kidneys perform important functions in the human body, which means that we should take good care of them. According to the experts, the kidneys filter about 120-150 quarts of blood, to produce 1-2 quarts of urine, filtering waste and extra fluid out of the body. As we said, the kidneys perform many vital functions in the human body, such as: prevent the buildup of waste in the body, keep electrolyte levels stable, and make hormones that regulate blood pressure, make blood cells, and maintain strong bones. And, I really think that you’ll be shocked when we tell you that more than 26 million Americans have kidney disease and 1 in 3 American adults is currently at risk for developing the disease? This is really shocking; do you agree? And, you should also know that the medical experts warn that in the United States only, kidney disease kills more people than breast or prostate cancer. You should take a really good care of your kidneys, because there are many factors that can lead to kidney damage, such as: type 2 diabetes, high blood pressure, a disease called glomerulonephritis, which damages the kidney’s filtering units, infections, kidney stones, and overuse of some over-the-counter pain killers. Well, I think that you already knew that if you don’t drink enough water your kidneys may start malfunctioning. And, here comes the million-dollar question – how are these two things related? Well, that’s easy to answer – as we all know, one of the kidney’s main functions is to flush out metabolic waste from the body and regulate erythrocyte production. So, if you don’t have enough water in your body your blood gets more concentrated and the blood flow to the kidneys gets reduced. This affects the kidneys’ ability to remove toxins from the body, which eventually leads to toxin accumulation in the body. The National Kidney Foundation says that you should drink at least 10-12 glasses of water every day (healthy adults) and this amount will be sufficient for the proper functioning of these vital organs. You shouldn’t consume to much coffee – period! Here’s what you need to know – well, the caffeine found in coffee can damage your kidneys if it’s in excessive amounts because it can lead to hypertension and overwork your kidneys. This can have some serious consequences on the long run. A recent study, published by Kidney International has discovered a relation between excessive amounts of caffeine and kidney stones because caffeine increases calcium excretion in urine. But, don’t get us wrong – this doesn’t mean you should stop consuming it altogether, but consume it in moderation. The optimal dose should be 1-2 cups of coffee and 3 cups of tea a day. You should definitely avoid salt, because it could cause significant damage to your kidneys as well as damage your health in general. How this works – your kidneys metabolize about 95% of the sodium we take through food so excessively high amounts of it can overwork them and cause complications. And, the high sodium consumption makes your kidneys work harder to eliminate the excess salt. 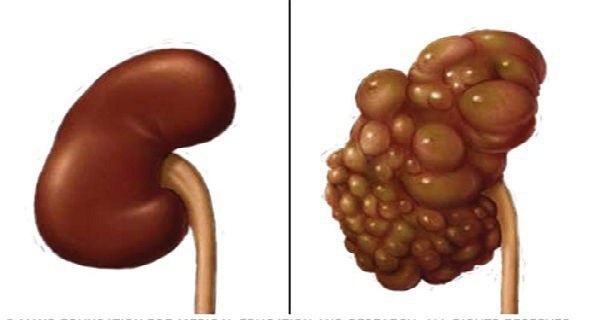 Consequently, this results in reduced kidney function and water retention in the body. Water retention, on the other hand, can increase blood pressure, which further worsens your kidney health. Note: your daily intake of salt shouldn’t exceed the recommended dose of 5 grams a day, anything more will cause unnecessary strain and lead to further problems. You can drink alcohol, but in moderation. Why – because excessive amount can lead to serious kidney problems, and it can also cause other health problems as well! High amounts of alcohol can lead to uric acid being deposited in the renal tubules and leads to tubular obstruction. This increases the risk of kidney failure. Moreover, alcohol causes dehydration thus affecting normal kidney function. What’s the recommended amount of alcohol per day? Well, the experts say 2 drinks for men and 1 drink for women and seniors. According to the experts, lack of sleep isn’t just bad for your kidneys it’s bad for your entire organism. They also say that every adult should get 6-8 hours of sound sleep every night. Anything less can have damaging effects on the long run. Did you know that while you sleep your organ tissues regenerate? Well, this means that when you are sleep deficient, this regeneration process is hindered, which results in kidney and other organ damage. A recent study has discovered that lack of sleep can lead to hypertension and atherosclerosis which increase the risk of kidney failure. Your kidneys will operate perfectly if you have healthy sleeping habits and a sound wok-rest balance.